When James O’Donoghue is on fire there are few if any defenders can live with the Killarney Legion player. The former Player of the Year was in outstanding form in the Munster semi final in Cusack Park when the home side threatened to de-rail Kerry’s hopes of a 5th provincial title on the trot. The two-time All Star needed to be as his nine points haul pulled Kerry through and ensured a Munster Final showdown with Cork in the Fitzgerald Stadium. Again O’Donoghue displayed all his scoring skills from play and frees helping himself to seven points in the process and gaining a sixth Munster medal. Kerry’s All Ireland ambitions may have come a cropper in Croke Park after a replay at the hands of Mayo but again O’Donoghue left his mark on the scoreboard and his return to full fitness after various injury problems over the last three years is good news for Kerry supporters ahead of the coming season. When Kerry travelled to Páirc Uí Rinn for the Munster Under 21 football final on the last Wednesday of March, one of the overriding thoughts among the players must have been the fact that not since 2008 had the Kingdom managed to secure a Munster title in the grade while opponents Cork were seeking a 6th title in seven years. After a power packed display of attacking football however, Kerry annexed their 26th title to draw level in the Roll of Honour with their neighbours. A Man of the Match display by Killian Spillane was instrumental in that victory. The Templenoe clubman had an impressive 1-9 to his credit following earlier victories over Clare and Waterford and for good measure he added 5 points in the final. While Kerry’s All Ireland final aspirations at Under 21 level came to an abrupt end against Galway in the semi final Spillane’s rich vein of form continued in the Munster Junior Championship when he captained Kerry to provincial honours and he went on to capture a second Junior All Ireland medal with victory over Meath in the final. What another remarkable year it has been for the Fossa Clubman adding second Munster and All Ireland Minor medals to his growing collection. 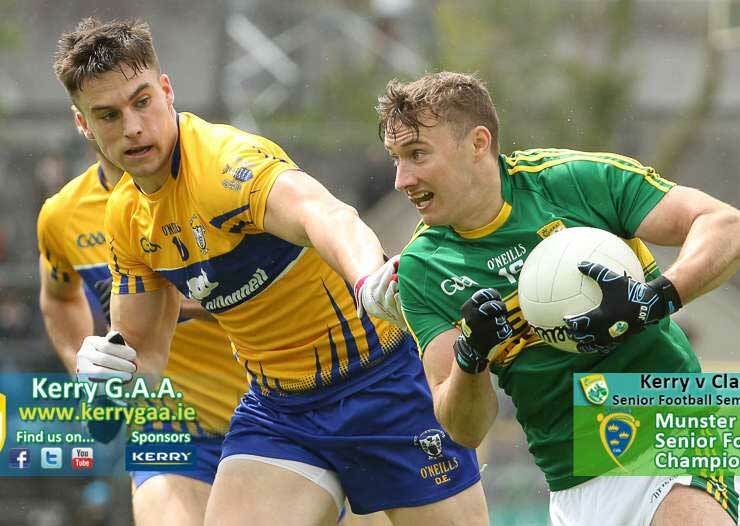 Kerry’s ambitions for a fifth provincial title on the trot hinged on a winner takes all semi final meeting with old rivals Cork in Páirc Uí Rinn on the 10th of May. The home side struck for an early goal but team captain Clifford soon found his range turning in a virtuoso performance and scoring 2-8 in the process, 2-5 of that tally from play. The scoring was more evenly spread in the final as Clare were put to the sword but the IT Tralee student still helped himself to 6 points in a Man of the Match performance. In the All Ireland series he scored a combined total of 1-19 against Louth and Cavan before unleashing all his talents on the biggest day of all - Croke Park on All Ireland Final day. A record haul of 4-4 in another Man of the Match display put an end to Derry’s hopes of an upset as Kerry claimed an unprecedented 4-in-a-row of titles. In all, he scored a remarkable 10-61 (10-50 from play) over two championship seasons in the Minor grade! The Fossa man is Munster GAA Minor Football Player of the Year for the second year in a row.